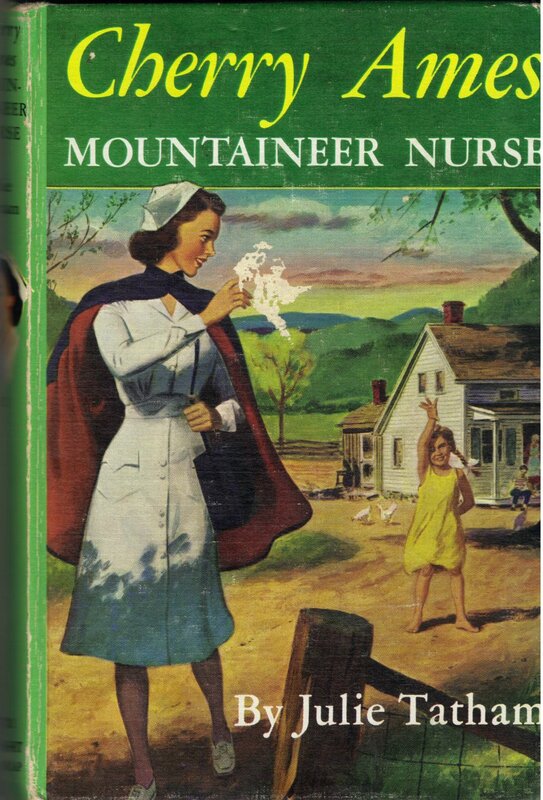 In today's world this would be considered a politically incorrect novel as it pictures some of the people living in the mountains of Kentucky as little more than hillbillies in the worse sense of the term. Cherry has been assigned to work with Bertha in the hills. The older people do not trust modern medicine at all. Many are ignorant and most are highly superstitious. The only actual doctor that is available comes in a helicopter at times as there are no roads at all leading to the area. Two old grandmothers in particular are very opposed to vaccines of any sort as are some people today (leading to some rare diseases seeing a rebirth). They considers as furriners. There's also a very strong feud between families (like the Hatfield/McCoy feud) leading to yet more problems for the nurses. One of the older people even says 'bathing makes a body weak.' A flashlight is considered a rarity. A 'wish book' is like one of the old Sears catalogs. If someone is smart they are termed 'knowen.' Add to all of this mess a crook who is looking for buried treasure (of a sorts) and you have a very complex story.